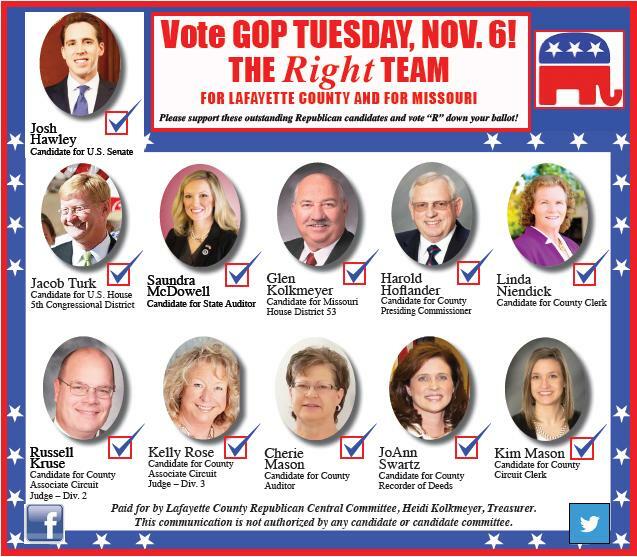 Lafayette County Politics: Vote GOP Tuesday, Nov. 6th for THE RIGHT TEAM for Lafayette County and for Missouri! 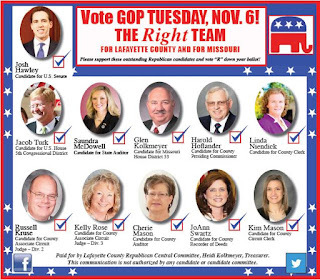 Vote GOP Tuesday, Nov. 6th for THE RIGHT TEAM for Lafayette County and for Missouri! Please support these outstanding Republican candidates and vote "R" down your ballot! 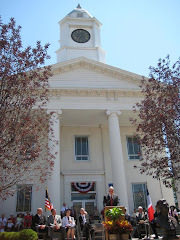 VOTE GOP TUESDAY, NOV. 6th!